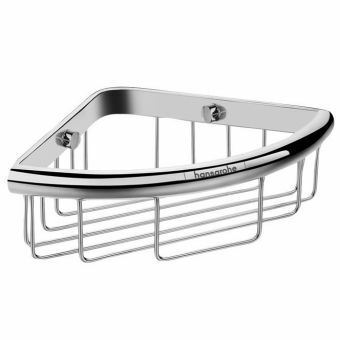 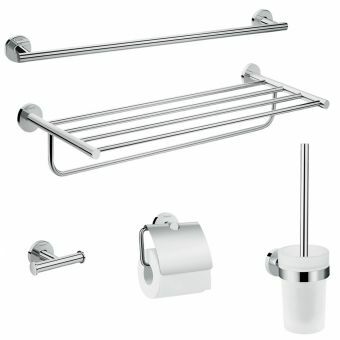 This 3 in 1 set from Hansgrohe offers fantastic value for money on a set of very popular accessories from the Hansgrohe Logis bathroom fixtures range. 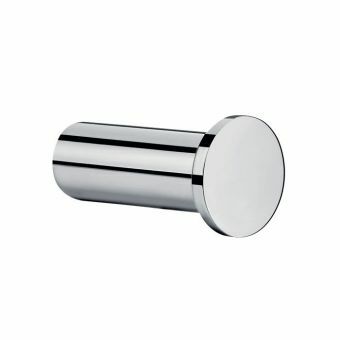 These pieces are very high-quality, made from solid brass they are completely metal giving them a heavy weight, well-made feel to the touch, a pleasure to use and an uplifting element to any bathroom environment. 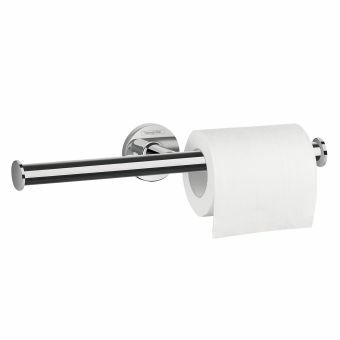 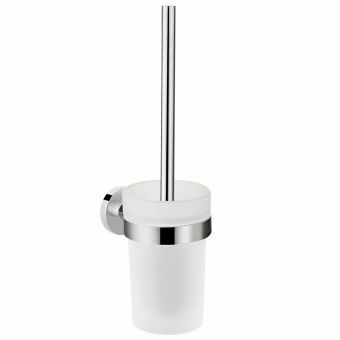 Included in the set are the most popular parts of the Logis Universal range, a wall mounted toilet brush holder, double towel rail, and a wall mounted toilet paper holder with cover. 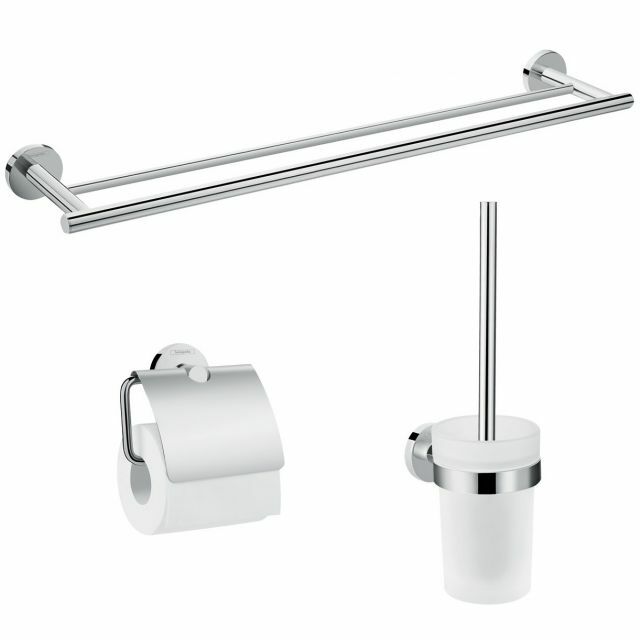 This pack saves you money compared to buying the components separately, and contains all the essential bathroom fittings you will need for your new bathroom. 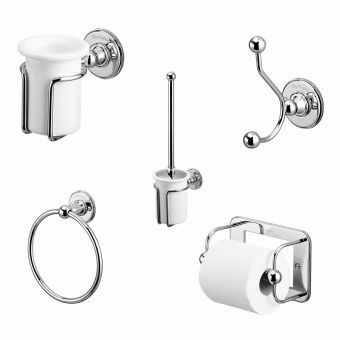 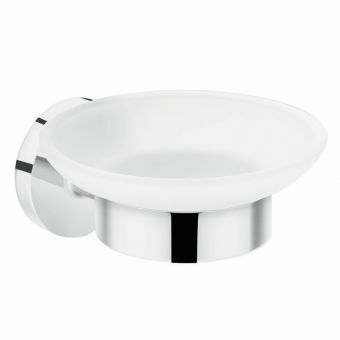 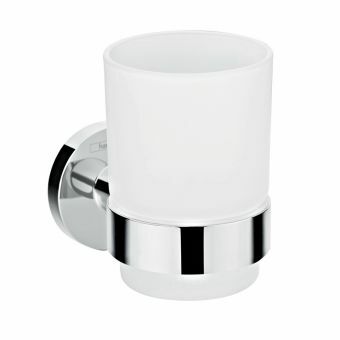 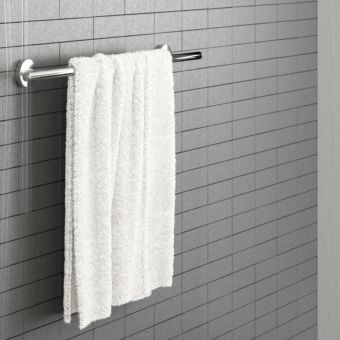 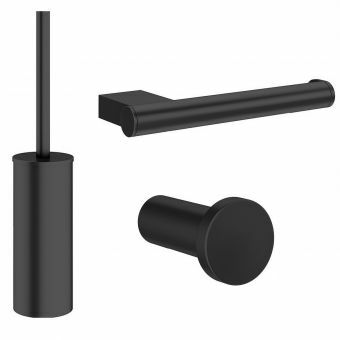 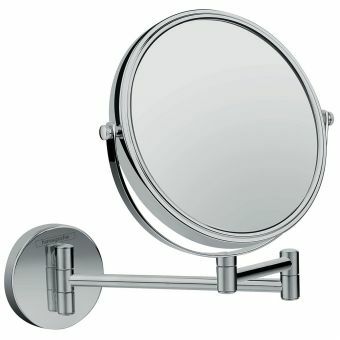 The other advantage of buying a pack besides the saving cost wise is the time spent in selecting different accessories, all these pieces are from the same range: Logis Universal so you know they are designed to match and will give a lovely uniformed final look as the final touches in your bathroom design.